Home Heating Oil Plus is a state of the art, premium heating oil specially formulated to maximize your energy dollars by optimizing the performance of your heating system. Heating Oil Plus is supplied at NO EXTRA COST TO YOU! Heating Oil Plus additives deliver proven performance in both conventional and modern burners. These solutions are designed to improve performance throughout the entire heating oil distribution system. That means improved cleanliness in the tank, better filterability, improved lubricity at the pump, improved efficiency in the boiler, and cleaner injectors. Ready to install a new heating system? Contact us for a FREE estimate. 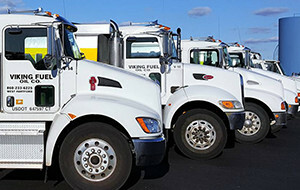 Need a fuel delivery or a system check-up? Contact us for fast reliable service!